Ruby is the chosen gemstone for the Cancer star sign and those born in the summer month of July. Ruby rings are also the perfect way to celebrate a 40th wedding anniversary. 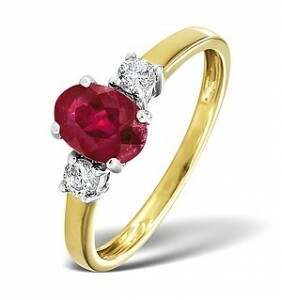 Ruby red is the Chinese colour of luck and the worldwide symbol of love. As part of a year long Gregorian Birthstone Poem, July’s verse quotes ruby as the gemstone to wear to be free of doubt and anxiety in matters relating to love, romance and passion. Although ruby rings are bold, vibrant, romantic and powerful shades of red, wearing a ruby ring is also said to bring the wearer good health, integrity, confidence and happiness. Choose your ruby rings from Rings.org.uk. With over 10,000 rings including engagement rings, wedding rings and more to choose from you’re sure to find the perfect rings for every occasion.